So what is this award then? The Liebster Award is an online award that is passed along from blogger to blogger in the hopes of promoting new and aspiring bloggers with less than 200 followers. As Iris mentioned, the rules do vary a bit, but I am going to follow the rules Iris posted. 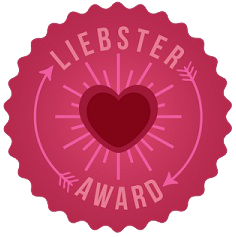 2) Display the Liebster Award button in your post- yep! 4) Nominate up to 10 other bloggers with up to 200 followers and inform them by commenting on their blog or contacting them- of course, although I won't always be able to see the number of followers you have, so please don't be offended if you have more, its an honest mistake! Please please please don't feel pressured to take part. I must admit that I was nominated before, and as much as I wanted to respond I just couldn't find the time, and the more I thought about it the harder it became. I promise I will answer your questions soon Fiona, and I'm sorry! 1) What is your favourite pasttime? 2) Who taught you to knit/crochet/craft? My nanny taught me to knit when I was pretty young, then I taught myself crochet with a bit of help from my Mum (who learnt from a DVD). Most of my early projects were from Cute and Easy Crochet by Nicki Trench, and I credit it with getting me into crochet. If you would like to hear more about my knitting story (and see some photos of my first ever knitting projects I wrote a whole post about it which can be found here). Difficult one.....I love being indoors when the weather is bad, but I also have to get out of the house at least once a day whatever the weather, even just to the shops- I'm very susceptible to cabin fever! In the Summer, definitely outdoors. I especially love eating outside in the Summer. 4) Have you been abroad? Name two countries you've been to. I was really lucky to be taken on lots of holidays with my family when I was younger, mostly epic road-trips around Europe. Not so much in recent years sadly. 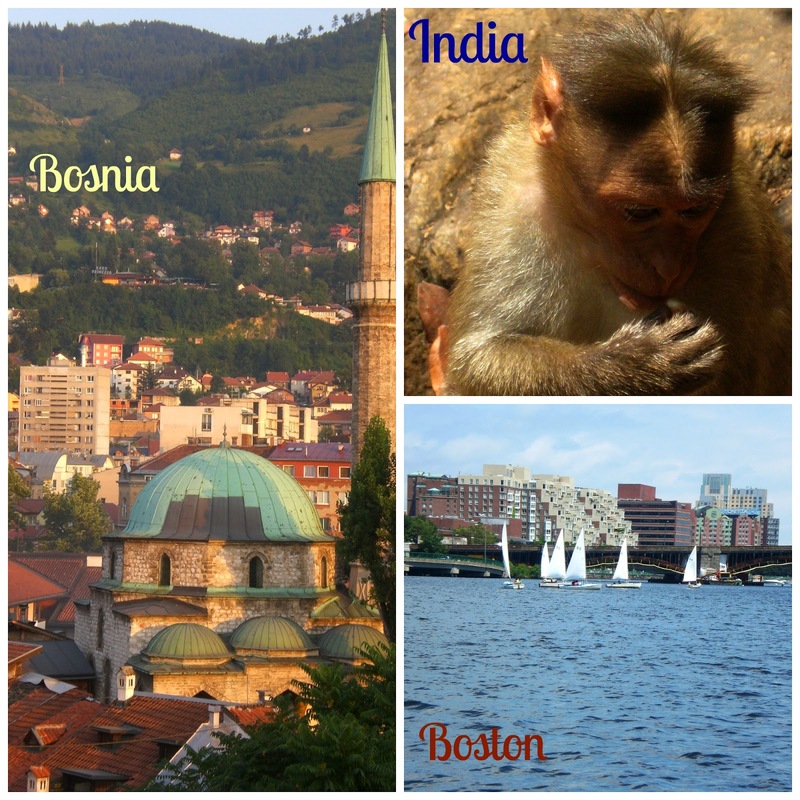 Two countries that really stuck out for me were America (especially Boston, I just love it and have been twice!) and India, for the sheer experience of it. If I can cheat a little and add a third I would say Bosnia. I was overcome by the way the country had overcome the civil war in the 90's despite the huge devastation the country and its people suffered, and how many cultures and religions are living side-by-side so harmoniously. I was pretty embarrassed when I went into a Muslim bar and ordered a beer though. Doh! 5) How do you approach your day? This really depends on what I'm doing. At the moment I'm giving my all to my full time job. I'm also having to commute for the first time ever and am really not loving it. At the moment its wake up far too early, snooze my alarm a couple of times, rush to get out on the road and sit in traffic for an hour or so. Do what I have to do, sit in traffic a bit more. dinner and a bit of crochet, bed, repeat. None of this is really conduce to a nice productive day but I get it done. When I'm on annual leave and have some time to do some creative bits my day is a whirlwind of making, photography, meeting friends, chatting craft, making mess, and making more mess. Totally disorganised but I still get lots done! 6) Given the chance to have things exactly as you'd like, what would you change? No Ebola, No Poverty, No racism, No homophobia, No sexism, No inequality, for unicorns to be real and wishes made on a star to be granted. 8) Old our new, which do you prefer and why? Old. I like things with character and a bit of history. Summer, but Autumn is my favourite season really. I just love it when the leaves on the trees turn. 10) Share your favourite recipe. This is a no-brainer. This lemon drizzle cake recipe by Mary Berry is just the best. It works 99.9% of the time (unless you get impatient and try and get it out of the tin when its too warm still). It even works well with oranges or limes if you don't have any lemons. I am yet to come across a single person who doesn't like it. I made it before for a friends' Birthday cake, but used a round tin and kept it whole and it was still fab. 2- If you could be someone for the day who would you be, and why? 3- If you could live anywhere in the world where would it be? 4- What is your favourite film? 5- Did you make any New Years resolutions/goals for 2015? If so do spill the beans! 6- When was the last time you flew a kite? 7- Are you a morning or an evening person? I hope you enjoyed this post and found out something new about me :-) And remember, please do head over and have a look at Iris's blog. Absolutely thrilled that you responded and decided to answer the questions - I know it's often hard to find the time to do these things. I think it took me 3 months until I finally posted mine!! Lovely to find out a bit more about you through the questions too, and that Lemon Drizzle cake looks delicious. I'll definitely try that recipe! Thank you for nominating me Sally, what a lovely idea. Love the lemon drizzle, I will have to try it out! SallyStrawberry is in Inside Crochet! My top 5 blog posts as decided by YOU!